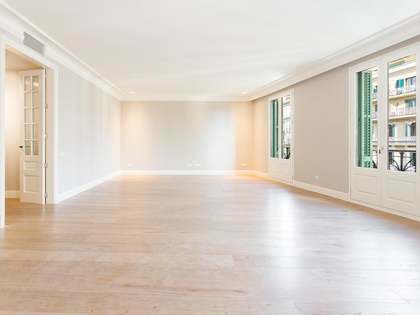 Marvellous 3-bedroom apartment located in a 1900 Modernista building with a communal garden, pool and gym in the centre of Barcelona. 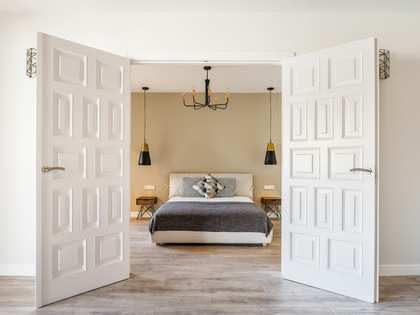 In the exclusive new development Girona Apartments, discover this magnificent apartment, situated in an elegant Modernista building designed by Enric Sagnier, one of the most well-known architects in Catalonia. It's located near to Passeig de Gràcia, Palau de la Música and all that the centre of Barcelona has to offer. 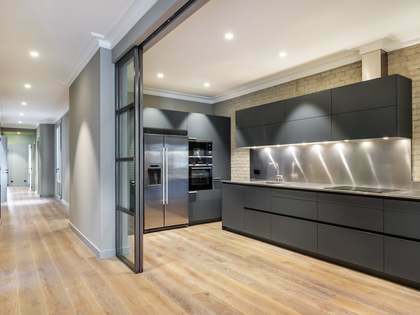 This 178m² property would be the perfect family home and stands out because of its light spaces and the spaciousness of the living room. It's divided into 3 bedrooms, 3 bathrooms, an open plan kitchen and a large living-dining room. The apartment benefits from high-quality finishes and sophisticated decor based on neutral tones, and the building provides, for added comfort, storage rooms available in the basement of the building. Also, this prestigious building offers exclusive benefits, such as a garden with a rooftop pool, where you can sunbathe and swim whilst enjoying the beautiful views of the city, and a ground-floor gym with a pool, where you can do some sport without leaving the house. 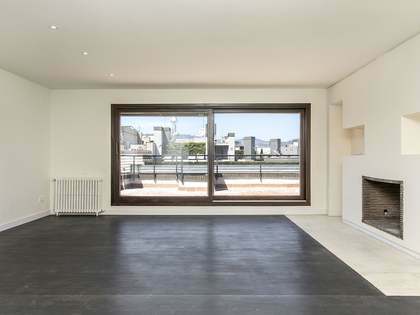 An incredible apartment in a new build development right in the heart of Barcelona. 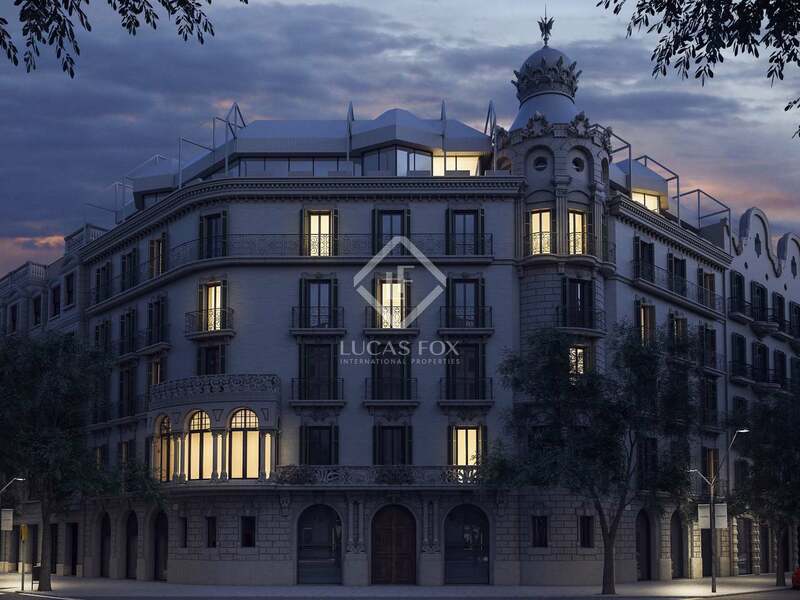 Superb new development at the heart of the Eixample Right district of Barcelona, on one of the best corners in the city, where Carrer Girona and Ronda Sant Pere meet. 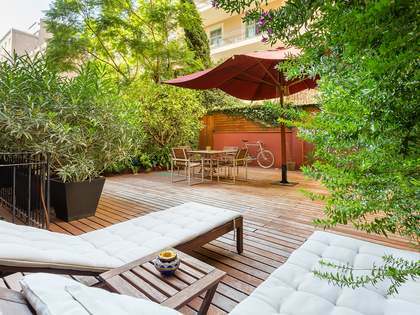 This unbeatably central location leaves you just minutes away from important places such as Plaça Catalunya, Ciutadella Park, the Liceu, Palau de la Musica, Passeig de Gràcia and Port Vell. The area is peppered with elegant restored Modernista buildings with spectacular façades and a wealth of shops, restaurants, cafes and all manner of services. A prime location in Barcelona City.